David Cameron has dominated the Conservative Party since his election as leader in 2005. Yet, rumblings of a potential leadership contest was picked up by the UK press as early as February 2014. Politicians are lining up to sit in the hot seat, and savvy gamblers should already be looking for good opportunities in the 'next Conservative Party leader' betting markets. Unlike their US counterparts, UK Prime Ministers aren't limited in how long they can stay in office. The Constitution of the Conservative Party states that a leadership election is sparked only when the current leader resigns, or 15% of the party's elected MPs call for a motion of no confidence and the vote is passed by a majority. Once a leadership election is opened, candidates must declare themselves. If more than one candidate stands, a vote is held among the entire party membership. A candidate must earn more than 50% of the vote to win. As there are no set dates for a party leadership election, the main skill in betting on the next Conservative party leader is predicting when an election might take place. A lot can change in a short period in British politics, and there's no point betting on the person of the moment if they don't have the staying power to last until a leadership election (a truth held in Democratic and Republican primaries in the US too); nor is it wise to bet on an up-and-comer if the leader's looking weak and there won't be time for their star to rise. That's why it's vital to have an idea of when the leadership election will be triggered. With the Scottish Independence Referendum done and dusted, the next political flashpoint is the forthcoming general election. If the Conservatives fail to win, or suffer serious losses, it might be more than the coalition government that faces the chop. Those who are confident of the Conservatives' electability, however, may want to look a little further ahead. David Cameron categorically told supporters that he would resign as party leader if he couldn't deliver a referendum on the EU by 2017. So those rising stars may still have a chance if the election map turns blue. A strong public profile and PR skill often earmark a potential candidate. Personable, approachable and reasonable public persona make for a popular choice – comparable to Tony Blair before his meteoric rise to the Labour Party leadership. Another key factor is party standing, indicated by previous positions of power. David Cameron, like Margaret Thatcher before him, was once shadow secretary for education, so the current secretary should always be considered. Elsewhere, the sitting chancellor would be a solid potential candidate as John Major, Michael Howard and Harold Macmillan were prior to their leadership. 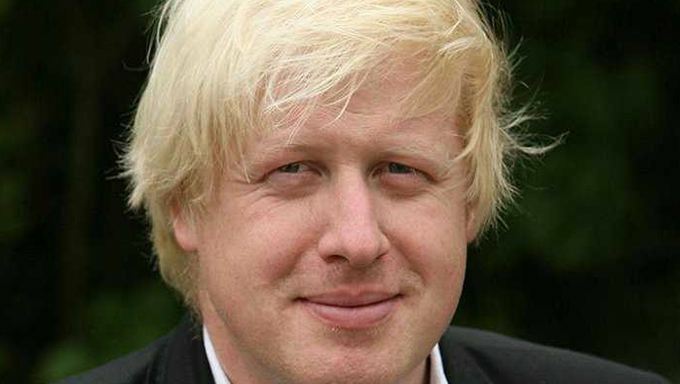 Exceptions happen as well; take Boris Johnson in 2015, a serious contender looking to set a precedent by moving quickly from his post as Mayor of London into party leadership. Finally, and perhaps most troublesome, is the analysis of their desire and support. Political commentary in the press generally gives a good idea of who may be in the mix, while understanding behind-the-scenes allegiances will help predict who might garner enough support from their allies to mount a leadership campaign. Making a prediction based on precedent and evidence is the safest way to bet, but it's far from the quickest. Sometimes a simpler strategy can yield results too. The old tactic of backing the underdog is a tempting prospect – particularly with online betting sites that allow you to cash out early. It's worth remembering that David Davis was favoured as party leader long before David Cameron's campaign gained momentum, and underdogs like Jeremy Hunt, or politicians with proven staying power like Theresa May, might yet trump arch political plotters like George Osborne or media powerhouses like Boris Johnson, and deliver healthy profits. Alternatively, undecided betters may want to examine other party leader betting markets for safer prospects; those who are confident of Cameron's hold over the party may prefer a punt on the 'next Prime Minister' market instead. For the latest political betting odds and markets, visit Betfred Sports today!